I'm finally crafting a real website, and so it was a treat for me to have Cara Brostrom come do my photoshoot to find great pics to use for both the site and other marketing ideas. I'd heard about and seen her work for the last couple of years around Boston. 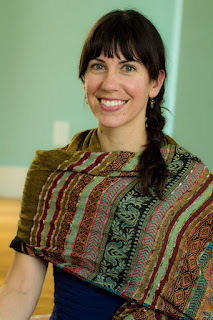 She's definitely the go-to local yogini photographer, and I finally got to see why for myself! So grateful for her expertise, ease, and warmth. I highly recommend her for any type of photo work if you're looking for someone. Enjoy these that I'm sharing here and check back in on my website for more soon! It's been no secret that I've been teaching yoga for the last 7 years to the tunes and rhythms of my favorite Icelandic musicians. It creates an atmosphere of receptivity to mood, emotion, and awareness that resonates with me...and hopefully those who come to class. So it's no surprise to me when others feel moved to create and inspire with such music. A few years ago, I met my dear friend Nina's daughter, who then also became a dear friend. That gal is Samantha Shay. 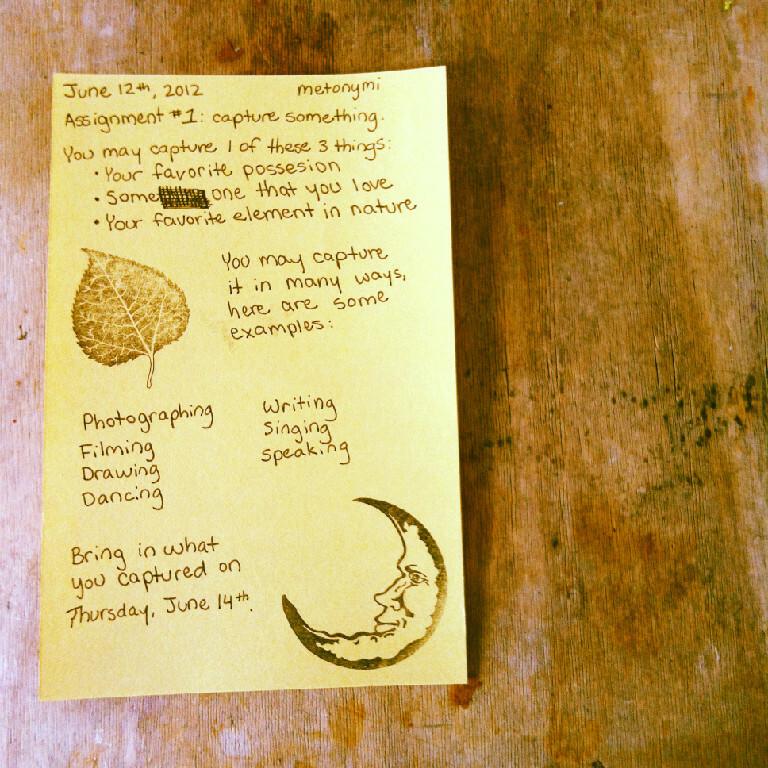 She is a recent graduate of CalArts and is a true artistic force! She has tons of visions that I have absolutely no doubt will come to fruition in her life. She's already become quite the mover, shaker, and traveller. Besides being an artist in every sense of the word (director, producer, actor, choreographer, stylist...), she is hilarious and warm and inspiring. I often tell her that if I were 10 years younger I would be part of her "troupe." ;) Who knows, maybe someday I'll get to collaborate with her?! I'm happy to say that she has evolved to possess a healthy obsession with Iceland as well! She's already created and directed a few shows involving Icelandic music as a theme. Most notably, Dancing Behind My Eyelids which played here in Cambridge at the Zero Arrow Theater (part of the A.R.T.). Since graduating this past spring, she has up and moved to our favorite land for the summer to create and develop a new work of art (in addition to interning for Iceland Airwaves Music Fest). This work of art is a collaborative workshop for young people with different disabilities in Reykjavik, Iceland. It's called Metonymi. It's become the work of Samantha along with 3 of her American friends, and they have gotten help from some of my favorite Icelandic artists, too! It's so exciting. Soley, Olafur Arnalds, Olof Arnalds, and the clothing producers, Mundi are just a few lending their talents. As a lifelong supporter of Best Buddies here in the U.S., Samantha has been stirring up a project like this for some time. Doing it in Iceland forced her and her American collaborators to learn about new forms of communication & creativity, as the participants speak only some or no English, as well as have different kinds of disabilities. Sam told me, "I find myself communicating most with a girl in our group named Elin, who is both deaf and cannot understand English at all. We have a kind of understanding that is entirely reliant on intelligence, and not a constructed kind of knowledge, which is what the workshop is all about." They have translators but have discovered that movement and physicality works more than speaking in getting each other to respond...and of course, the music. The result of the workshop? A short video art piece to be released shortly that features the participants performing a movement vocabulary that they have developed as a group. As their own culture. It was filmed at a waterfall, and a black beach on the south coast. 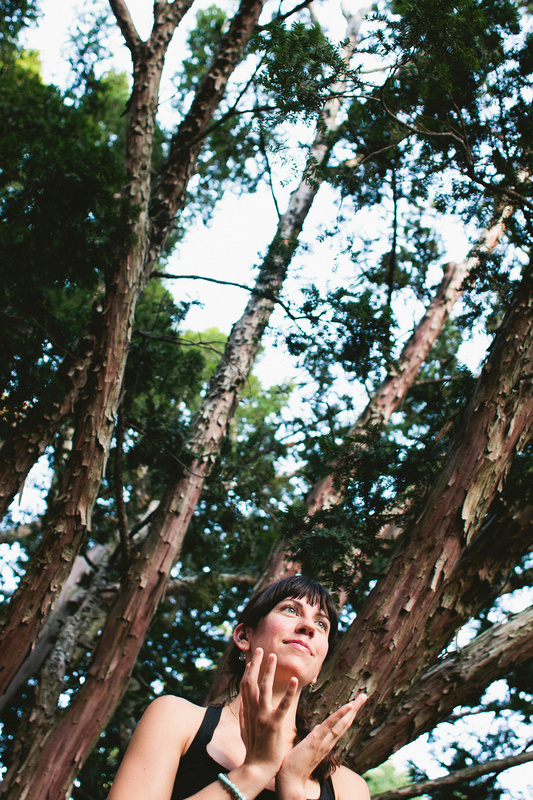 In addition, Samantha and her collaborators created a documentary of the entire experience and creative process. 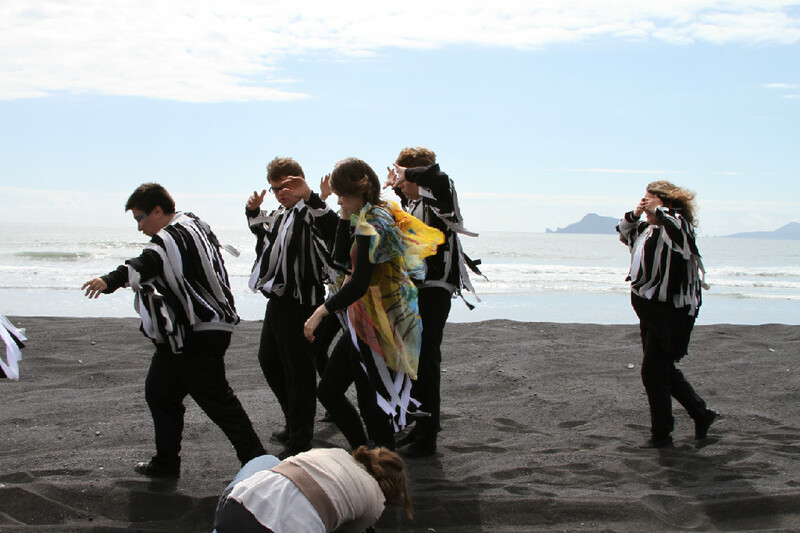 This will include 1 minute short clips that the participants themselves created in and around Reykjavik. 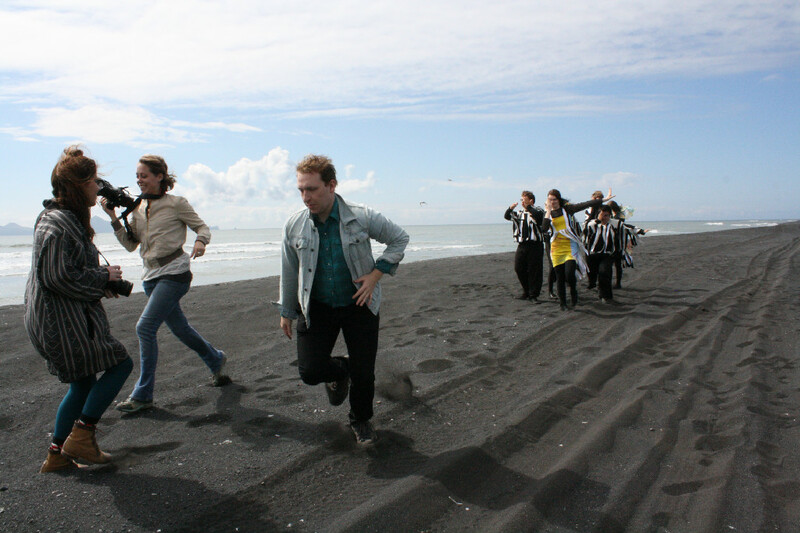 The films are currently slated to screen at the Iceland Airwaves Music Festival in early November. And the whole project was primarily self-funded with gratitude to the local artists mentioned who so willingly produced their gifts for the group. I am so proud and in awe of Samantha and her team, and simply cannot wait for the films! I'm finally heading back to Iceland myself with my husband and son, for the first time in 2 years this October. Will keep ya posted. Check out www.metonymi.com for more explanation of the project. **Except for my little brother's song (which can be heard on Sound Clound), all of the music is Icelandic, and most can be found on iTunes or gogoyoko. 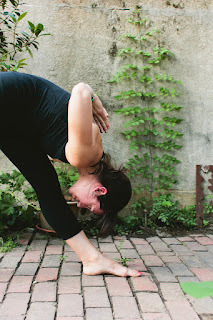 September Yoga Weekend with me on Nantucket! Hi friends! I'm super excited about my upcoming Nantucket yoga trip as it is to be an End of Summer party! Just before the seasons officially change, we will celebrate our summer's end. I'm looking for some more beautiful spirits to join us. Check it out! Arrive on Friday, Sept. 14th around mid-day to a healthy lunch and then we will practice yoga late afternoon/early evening before dinner. Sunday, Sept. 16th-- Same as Saturday! Price is averaging around $515 per person. If you can only come 2 of the 3 nights, I can re-work that for you. If you have children, I can also re-work it as needed. There is a great house/cottage (as seen on attached poster) that sleeps 10-12 on 2 floors with comfort. There is a private apartment that sleeps up to 4. And then there are some more rooms in the main house of the inn. Meals: I'm providing lunches for Friday, Saturday, and Sunday. Plus, I will provide breakfast on Monday morning. An island caterer will make them healthy & organic meals. You can definitely give requests for your health needs. I've decided to leave other breakfast and dinner slots open so that we can explore other fun options on the island. There are tons of great restaurants in town, plus one really nice one within the village of 'Sconset itself. And the cottages have a kitchen we can use, too. So, it could be fun one night to cook a big meal together and all chip in...same for breakfasts. Extra activities: My lovely friend, Sandy, will be on hand all weekend participating in the yoga and possibly even providing some soothing assist massage during savasana one day. You can schedule a Thai Massage with her at any time during the weekend. She's an amazing healer, energy worker, artistic human being and spirit. On top of that, one day we will go see my friend's farm, called Faraway Farm for a picnic. We'll take our lunches on the afternoon with the best weather outlook, and go get a tour of their animals and sweetness. And, I will have a special treat for each guest from my favorite local chocolate, tea, spice shop. **If you'd like to get around on bike, I will organize ahead of time to have bikes delivered to our cottages for your arrival. There is a bike path to take and explore the island. Otherwise, there are some tram services at that time, and taxis. We can discuss more transport options as needed. Those of you with kids/families: You are welcome, too! My one year old and husband will be in attendance with me, of course. I now know the island rental places for kid's equipment pretty well. We can rent pack n plays, bike seats, strollers, high chairs, etc. And I also have connections for babysitters for either during the yoga sessions and/or so you can go out at night! I think that sums it all up for the most part. We're just about one month away from it, so check your calendars and let me know as soon as you can! Email for a spot and then I can send you my PayPal link for you to make your deposit. Many, many thanks for helping me make this event a possibility! --I took these pictures of 'Sconset when I was there a couple of weeks ago! Cheers to a new summer month, everyone! How are you all now that we're officially half-way through summer and in the midst of the humidity, thundershowers, heatwave ups and downs? Hopefully it's a month full of healthy & fun BBQ's, gatherings, bike rides, outdoor concerts, pond swims, playgrounds, beach visits, park picnics, smoothies/iced drinks, and of course yoga. My family and I just returned last weekend from a 12 day stint on our home away from home, Nantucket. It was full of extended family happenings and plenty of outdoor time, good food, and yoga. I went to the first day of the Nantucket Yoga Festival, in which I got to take a fun aerial class from NYC teacher, Michelle Dortingac of Unnata Yoga. And an awesome core vinyasa class from the fierce and fresh Sadie Nardini, with whom I'm excited to train more with. I'm currently enrolled in some really insightful online webinars, trainings, and meditation challenge. All of this work seems suited to this time of year to prep for the start of another "school" year. I hope it continues to translate on my mat when I teach classes, and most importantly in my own behaviors and reactions in everyday life. Nantucket Yoga Weekend with me this September! There are so many amazing fall yoga trips coming up with so many of my friends and fellow teachers. Karma Longtin & Tiffany O'Connell in Vermont, Sarah Baumert in western Mass, Sarah Kearns & Carolyn Little in Vermont, Checka Antifonario in Vermont! That's just to name a few! Maybe you know who they are, maybe not. The point is that the options are many and they are all fabulous. If you've never done a little yoga getaway before, it's truly a treat. I have led weeklong yoga vacations, but never a weekend one...and never one on my home away from home Nantucket! I'm super excited about it, and on my recent visit to the island solidified more plans and connections with friends and locals. A yoga vacation is more than just a vacation in that you get to practice with a teacher you enjoy (and hopefully with others you enjoy also) in a naturally lovely setting, and with time to rejuvenate yourself within your practice as well as off the mat with positive conversation, activities, food, etc. I highly recommend fitting one into your schedule this fall! 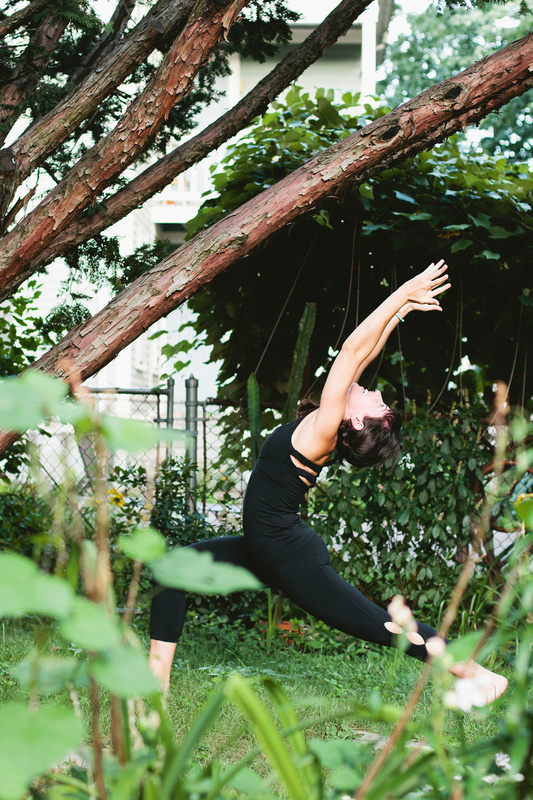 Whether you need a vacation from your summer vacation, would love to bring a loved one to nourish themselves, want to meet new people, want to experience a new place, or want to challenge your inner/outer self within your yoga practice. Of course I hope you choose to do it with me! hehe. But any of them will do. ;) More information about mine is on my website, and Facebook for the most recent updates and pictures. Thanks for being open to such an idea and event to be born. Please do message me with thoughts/questions, and to hold your spot! It's coming up soon and I wouldn't want anyone to miss out! --So, cheers to you all for a happy weekend and awesome month ahead. Do more gentle/restorative yoga on humid/hot days if needed, and have some fun! p.s. attached pics of me doing baddha konasana in the air during Aerial Yoga at Nantucket Yoga Fest, and of my boy, Isak at the beach. He's almost 17 months already!